Cell phones and driving make a dangerous – and sometimes deadly – combination. 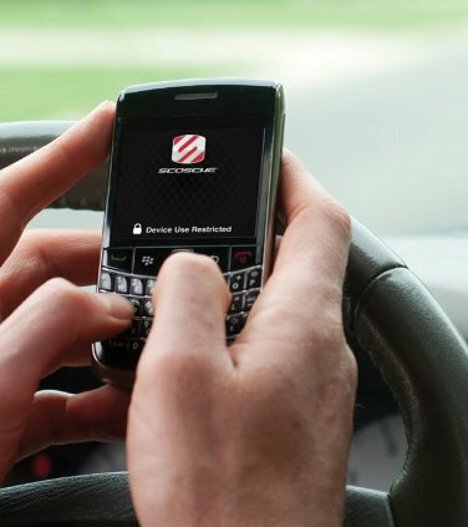 Laws against talking or texting while driving don’t seem to make much of a difference in keeping people from picking up their phones while driving. This device from Scosche could help, though. 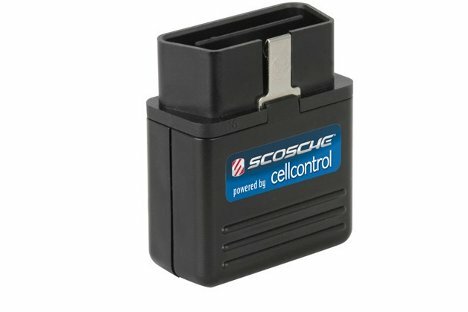 It’s called the cellCONTROL, and it blocks phone signals inside a moving car. The device plugs into the OBD-II port (standard on all cars produced in or after 1996) and jams the signal to and from cell phones whenever the car is in motion. All cell phone activity is blocked, including talking, texting and web browsing. The cellCONTROL isn’t just a dumb little gadget that does one simple thing, though. It’s smart enough to know when the car is moving and allows signals to go through when the car is motionless. It also knows when you’ve plugged a hands-free device into the phone and lets your signal operate normally in that case. But maybe smartest of all is the fact that the cellCONTROL sends a message to the owner/administrator of the device if it’s disabled or unplugged. So if you plug it into your teen’s car to keep her from chatting herself into a wreck, you’ll know when she tries to outsmart you. 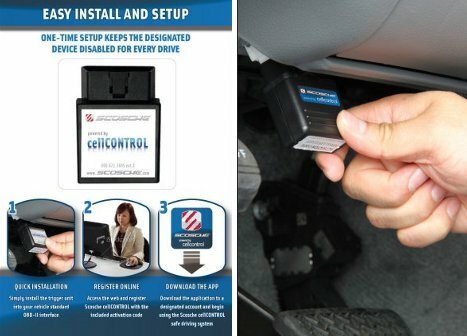 The cellControl is available for around $130, which is pretty reasonable when you compare it to the multiple costs of cell phone-related car accidents. See more in Cars & Trucks or under Transportation. January, 2012.